Starting a new job is no easy process, and an internship is no different. The movies show interns running around the streets of New York getting their managers coffee or walking an entire pack of dogs on their lunch break. Essentially, the very definition of starting at the bottom. As part of the QUT Corporate Partners in Excellence Program, myself and three other students commenced a 15-week internship placement at the Bank of Queensland (BOQ). It turns out (spoiler alert) that movies are absolutely not a source of reliable information, with my internship at the Bank of Queensland so far exceeding all expectations. 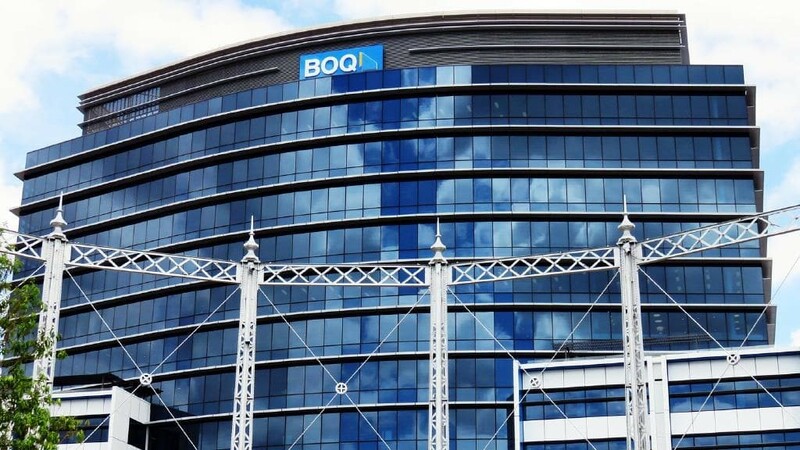 BOQ goes beyond what one would typically expect from a bank. 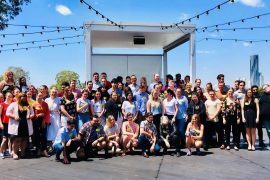 Yes, there are cubicle desks on most floors and yes, they have the occasional lawn bowls team building exercise – but what people don’t see is the culture of innovation that is being promoted. White boards and writing cover the walls of the QLab, the home of BOQ’s Digital and Innovation Team, with workplace surroundings influencing the productivity and creativity of employees. Walking into the office for the first time and you’re greeted by a steady tapping noise, which, as we came to find, was one of three table tennis tables within the building. 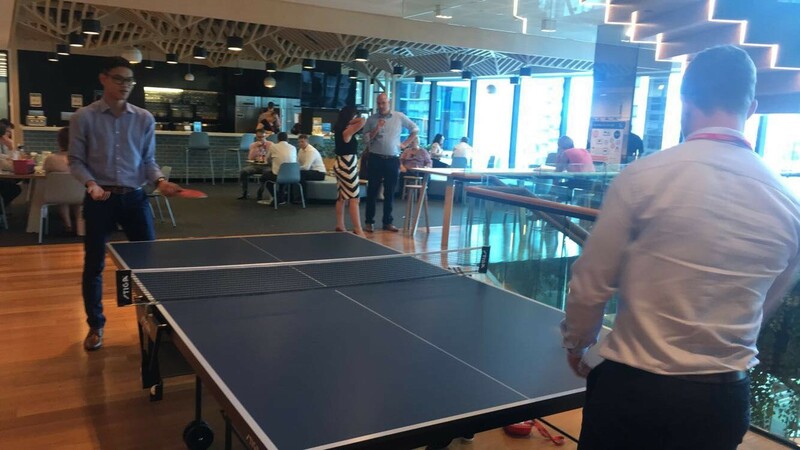 This, for obvious reasons, is not something one would typically expect from a financial institution and, unfortunately for everyone wanting to enjoy their lunch in peace, it turns out that the QUT interns are very competitive when it comes to ping pong. The faces of concentration during an intense game of lunchtime ping pong. 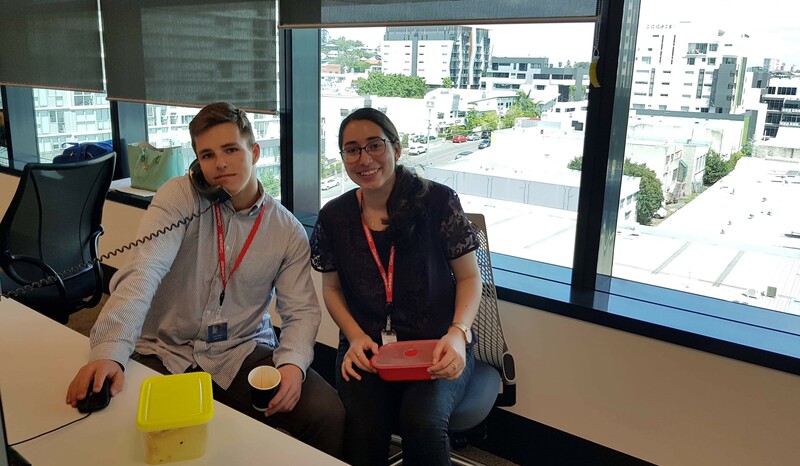 The other interns and I were ecstatic, regrouping for lunch with our matching Tupperware containers and most likely sharing that obvious ‘I’m an intern’ glow. Throughout our first month at BOQ, we’ve been exposed to real work in our relevant fields. As a marketing student, I had the incredible opportunity of being placed with the Innovation team, given the chance to experience real projects designed to take BOQ beyond digital parity, as well as experiencing internal marketing communications within the business. 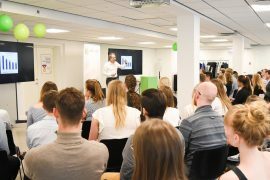 I’ve been exposed to concepts such as customer journey mapping, onboarding, customer moments of truth and the process of progressing an innovation from a proof of concept (POC) to a pilot phase. One month in, and my notebook is already full! Tupperware is the ultimate sign of integrating into the workplace. 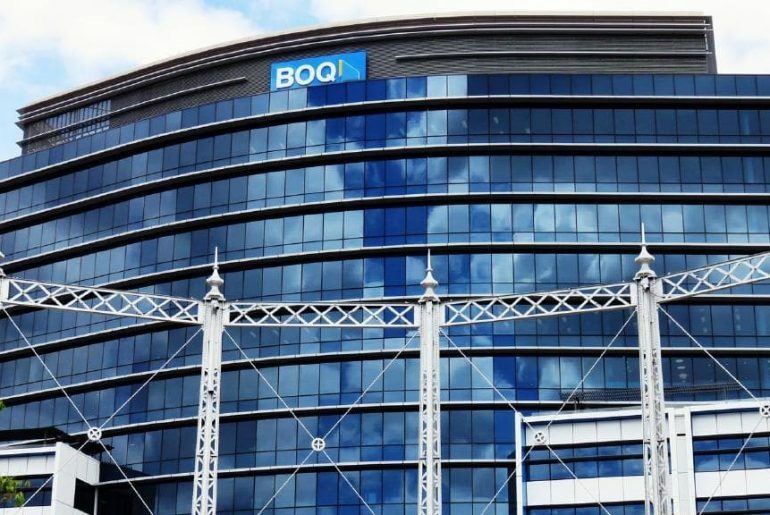 What sets BOQ apart in the market as a bank is their relationship-driven and customer-centric approach, with this culture reflected within the workplace. I have had the chance to work alongside User Experience and Interaction Designers, Entrepreneurs in Residence, Innovation Analysts and Culture Managers, to name a few. Each person has helped me in my internship journey, willing to lend their expertise and shape the direction of my future. In a shocking turn of events, I was regularly invited to go for coffee rather than ever being asked to fetch one, with my reusable BOQ cup almost becoming an extra limb. So far, I’ve been welcomed, supported and immersed, with my experience being the poster child for everything an internship should be. As my first point of reference for a corporate environment, BOQ has set the tone for the rest of my career. I can no longer imagine working in an environment without collaboration and innovation, with the projects currently underway within the business getting me excited for the future. 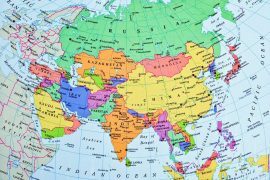 All students commencing an internship should be willing to be a sponge and absorb as much information as they can, finding value in every opportunity. 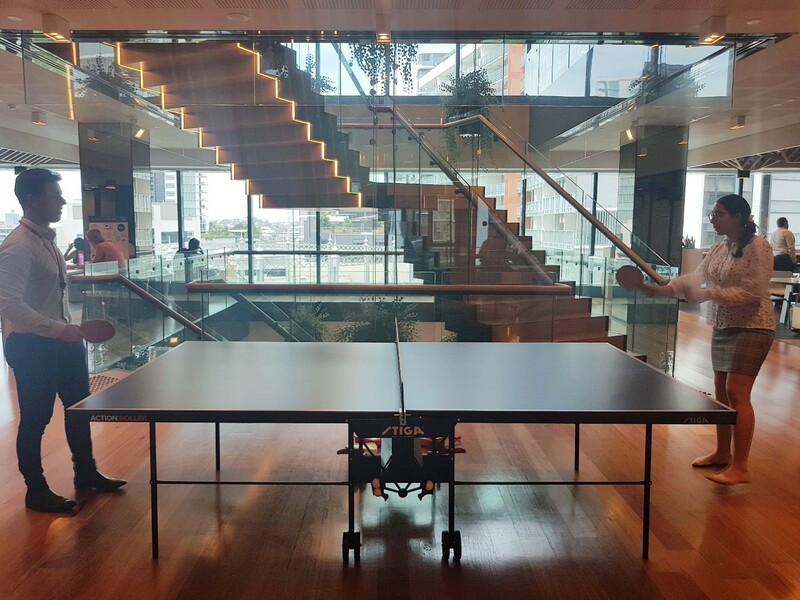 Lastly, in the event that your internship placement happens to have a table tennis table, remember to not ever be a sore loser. A few of us are still working on that one.